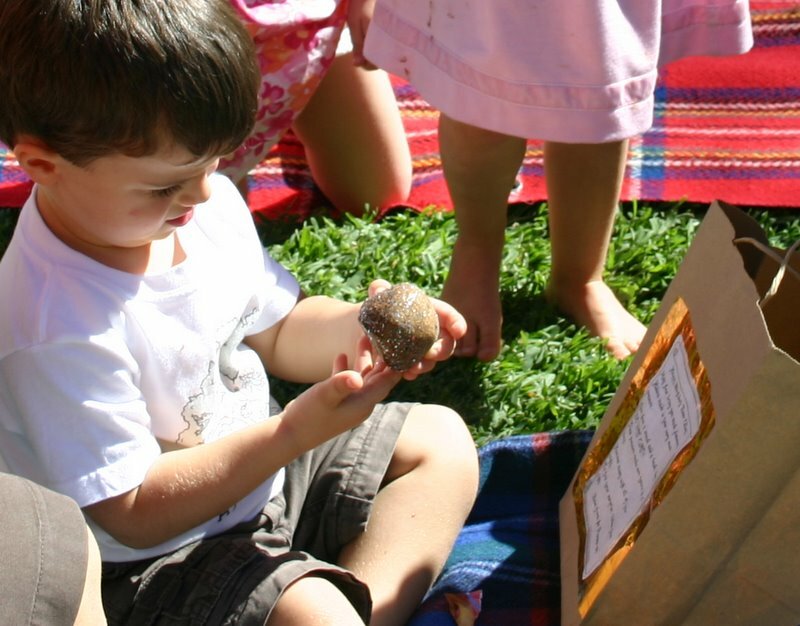 If you are looking for an inexpensive gift idea for children this Christmas, why not try treasure rocks. Treasure rocks are made with a simple dough mixture that is baked until hard. 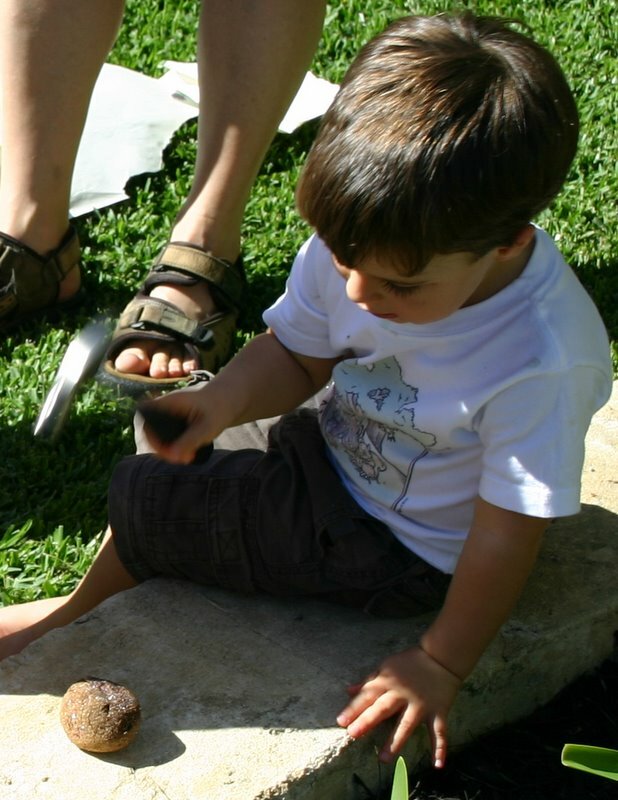 The recipient uses a hammer to crack open the rocks and reveal the treasure inside; usually some coins, although any little item that would survive the baking process without melting would be suitable. For a more girlish result, you could paint a layer of glue over the rocks and add glitter. 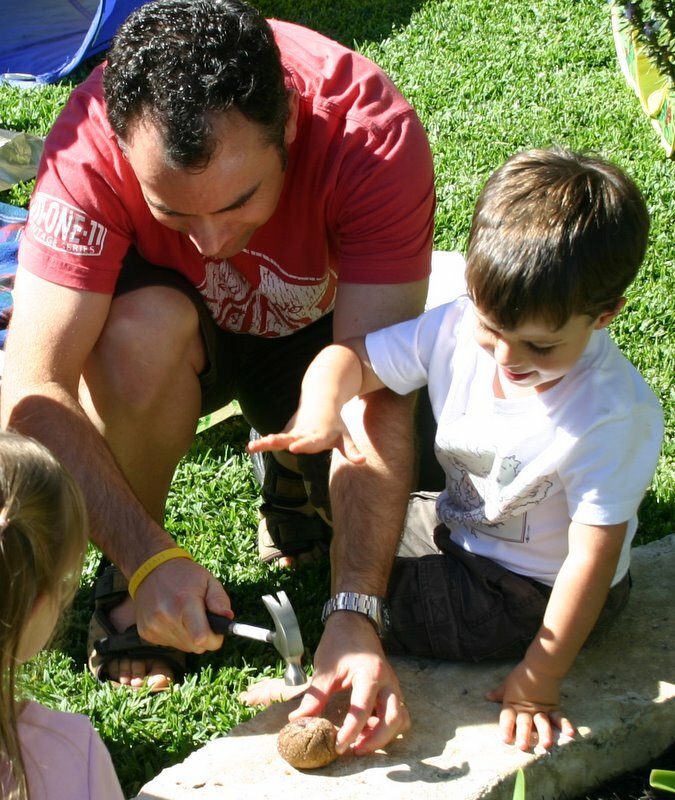 The overall cost of making the rocks is negligible and the amount of money you include in the form of coin treasure can be as much or as little as you like. I like to give mine with a poem I have written (see below) and a little hammer as part of the gift, although this does raise the price a little. All the children seem to love them and hammering them open is lots of fun. Don’t forget to wrap the coins in plastic kitchen wrap or they can be very difficult to get clean before spending! For a gift that can be made for under $5 or even under $2, these are a winner. You can find the recipe for treasure rocks (google treasure stones) on so many websites I didn’t include it here. I have modified the online recipe because I don’t have coffee grounds and while my rocks look great they are a little harder to crack open. Very little children needed help but my older boy was just dying to get in there and give it a bash – I’m sure he could have had them smashed to smithereens in a few minutes! Give them a smash and a bash, but DO NOT EAT! Mix the flour, salt and water or coffee together to form a soft dough. Form into balls with a wrapped coin in the centre of each. Bake at 120 degrees until hard. Paint with glue and sprinkle with glitter or leave brown.